Millennials are increasingly facing large amounts of student debt. According to data from the Federal Reserve, the average American under 35 now has $17,200 of student debt. That is a 182 percent increase from 1995. 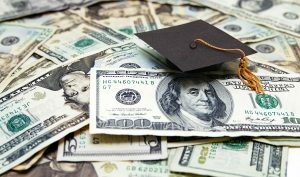 Data from the Institute for College Access and Success shows the average student graduates with more than $28,000 in personal debt. Refinancing their student loans can help overwhelmed millennials save tens of thousands of dollars. Current rates for private student loans are between 2.5 and 12 percent, while the interest rate for federal loans is between 4 and 6 percent. However, borrowers should carefully weigh private refinancing, especially when it comes to federal loans. Many financial firms have jumped into the refinancing market for both private and government student loans. SoFi, or Social Finance Inc., says most of its $10 billion in loans are student debt refinancing. Citizens Bank expanded its student loan portfolio from $2 billion in 2014 to $5.5 billion at the end of June. Wells Fargo & Co. of San Francisco has also expanded into student loan refinancing. Student loan refinancing can be difficult to achieve. Often, only those with high-paying jobs, stellar credit history, and mom and dad as cosigners can usually accomplish the task. Some companies offering refinancing require borrowers to have credit scores of 700 or higher, out of a maximum of 850. Nationwide, only 16 percent of consumers under the age of 30 have credit scores of 720 and above. Consumer advocates worry that student loan refinancers are cherry-picking borrowers with the best ability to repay the loans, leaving those who truly need help behind. Aiming for high-end borrowers helps keep defaults low, as lenders are at greater risk if a refinancer defaults because there is no underlying collateral to seize. Student debt can exceed $100,000 for an undergraduate degree. Student Debt Crisis, a higher education advocacy group that advocates on student loan issues, says that many student debt relief companies aggressively market services to borrowers that the federal government offers for free. All borrowers should know about the free debt relief services they could be getting from the federal government, but many don’t. Those free services include help with loan forgiveness, consolidation and refinancing. Companies have arisen to help borrowers shop online for student refinancing rates and deals. The government has also taken other steps to help student loan borrowers. The Department of Education has issued warnings to borrowers about companies charging for help with student loans. The Consumer Financial Protection Bureau has barred student debt relief companies that it said misrepresented services from working in the industry.